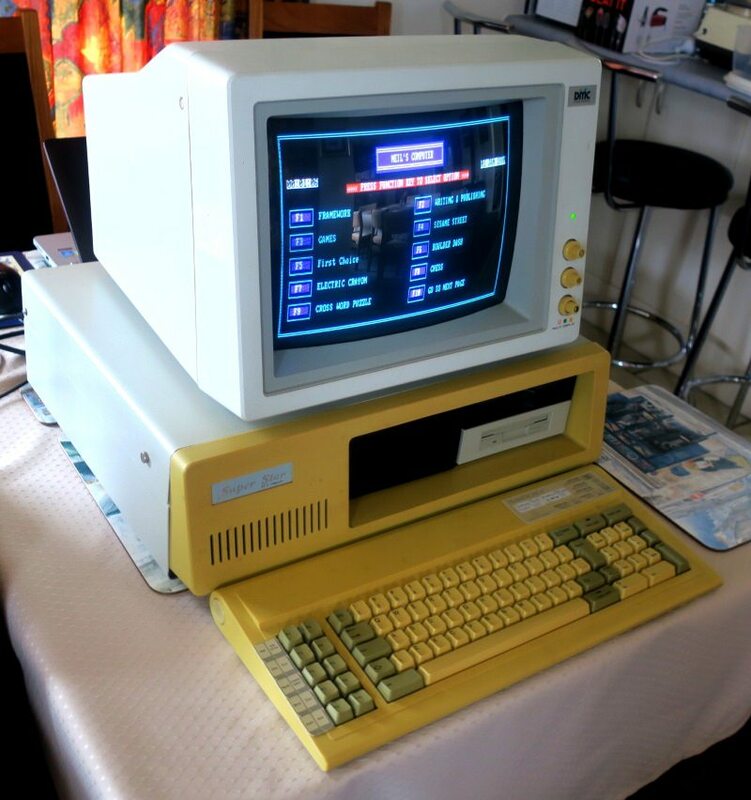 This is our first PC from 1986 when I was 2. 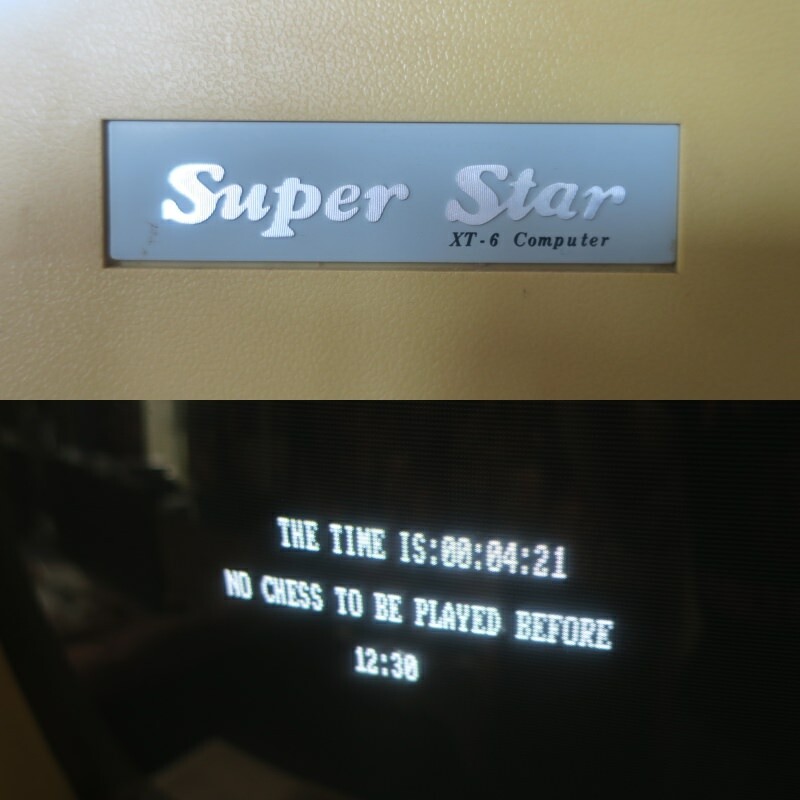 Not sure if I should be surprised that its name doesn't return any Google results, but it's a Super Star XT-6 made in Taiwan - an IBM XT clone which no doubt infringed on a patent or two. In a big up yours to third millennium electronics, both it and the original monitor seem to be working just fine without the need for any repairs. 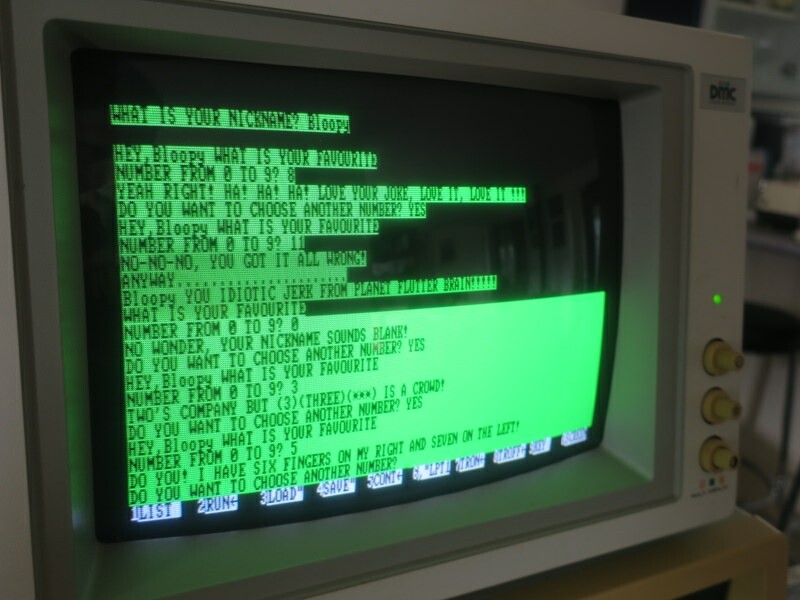 This is the second computer program I ever wrote (in BASIC) when I was 10... "The Clown Show". I don't remember that editor at all (I wrote nearly all my BASIC on 8-bit Ataris, and mostly wrote Visual Basic much later on PCs). Presumably it was part of BASICA (or possibly QuickBasic, although I think QuickBasic had a "later DOSish" interface). I *did* use an editor presumably inspired by it called TED.com (which had only 10-12 "features": one for each function key. But it was faster than you could hit "page up/down" even with an XT). Was the editor part of BASICA (or BASIC.com) or similar? 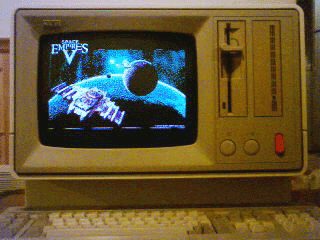 Here's mine, pretending to run a game over 20 years too new for it. We had two from that era, and sadly my Dad threw out the wrong one after its brother died, and thus none remain. wumpus wrote: I *did* use an editor presumably inspired by it called TED.com (which had only 10-12 "features": one for each function key. But it was faster than you could hit "page up/down" even with an XT). Ah, nice. That's still my go-to editor when I'm working with XT/AT-class hardware. Bare-bones, but zippy as hell. Also had a snazzy 90-column mode if you were running on a Hercules card. Not long after posting this thread I tried to write to the Super Star's hard drive and stuffed it a bit, but the drive doesn't seem to be completely out of action. Plus we can still play games on floppy or maybe find a replacement drive. It had a collection of BASIC games and things which are difficult to find online, so I'll see if I can copy them off the 3½" floppies. One of them is this. Kind of like a primitive predecessor of SingStar I guess.